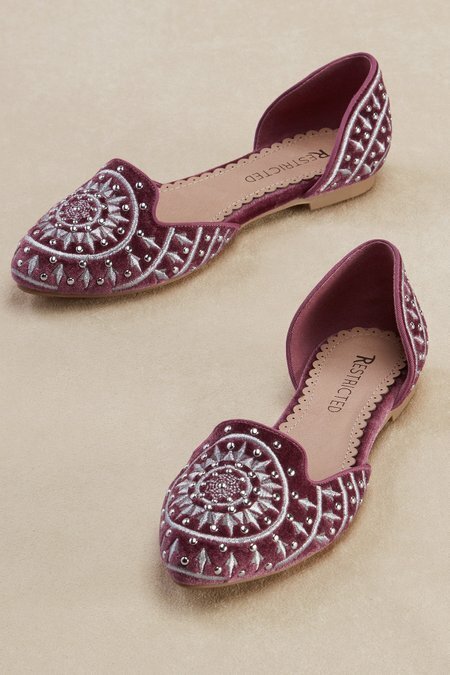 Not just for dress-up, velvet flats are an everyday option with silver embroidery and metallic embellishment. Leather sock, fabric lining, padded footbed and rubber sole. 1/4" heel.